It's the tail end of World MasterCard Fashion Week and this season I teamed up with dippity-do to incorporate their blush Colorpop into last nights look. If you haven't heard of these before you are in for a treat. 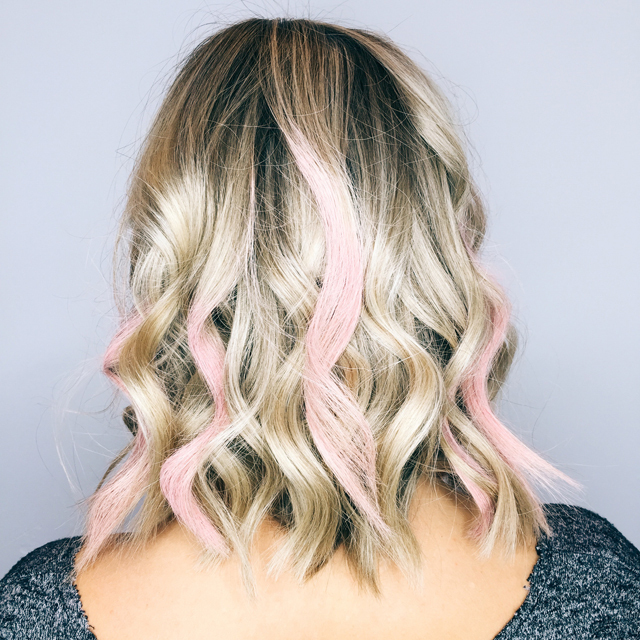 Colorpops are temporary hair powders that are easy to apply and shockingly easy to remove as well. I've secretly always wants to play with colour in my hair so I was really excited to give them a go. 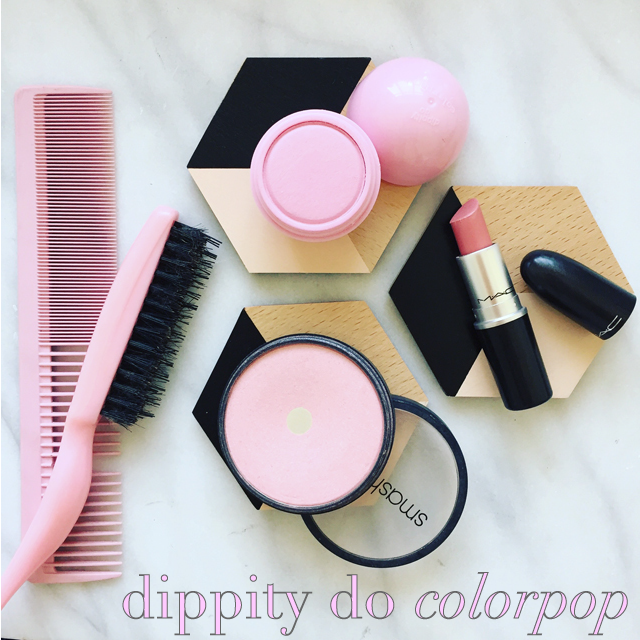 Dippity-do offers several options for colours from bright pops to metallics to soft pastels which have been trending huge lately. 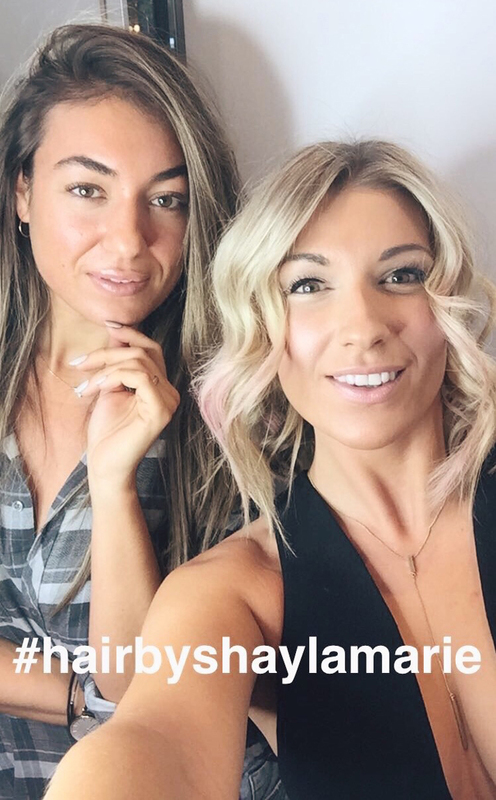 I felt last night was appropriate to rock some colour in my hair since Mackage was showing and it's always edgy and with Pink Tartan on right before it made the choice of going with blush a no brainer. Since using these was my first attempt I headed over to Ritual to have my best friend/hair god, Shayla Marie, complete the task. Shay has worked with similar products in the past and actually quite liked how powdery and light weight these ones were. I have heard hair chalks can be stubborn to get out but to my surprise it's now been 24hrs and I got it out with ease. I'm sure it's easier to remove the pastel colours over the more vibrant hues but I can confirm that with you guys if I ever get daring enough to go to that end of the spectrum. 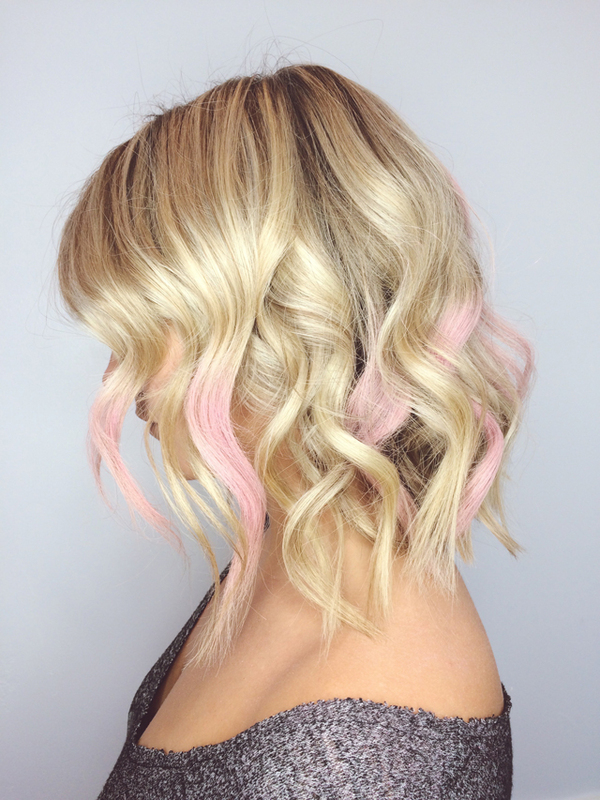 For this look we styled my hair first, applied hairspray then went in to apply the colour. 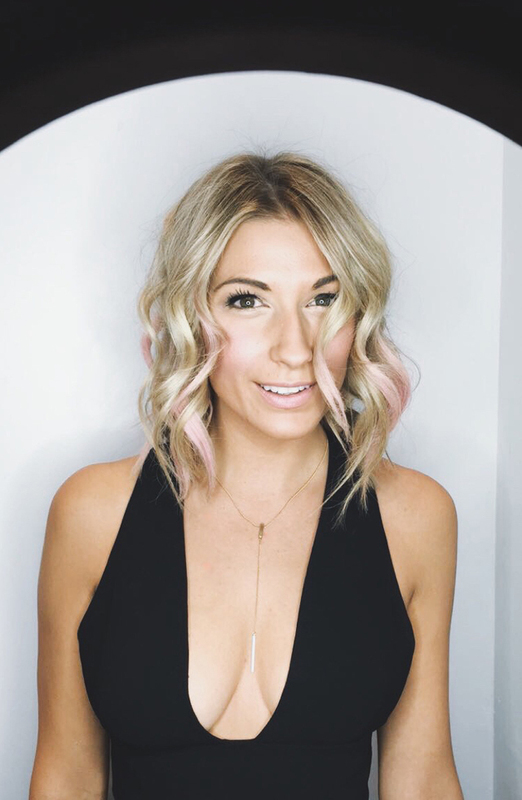 A few great styling recommendations from Shay were to give the coloured strands a comb through to soften the hue (if that's the look you are going for) then setting it with a spritz of hairspray to avoid runoff onto other strands and to minimize the chances of you getting it on your clothes. The great thing about these is there is no right or wrong way to use them. It's like an outfit, you can style it to your taste. 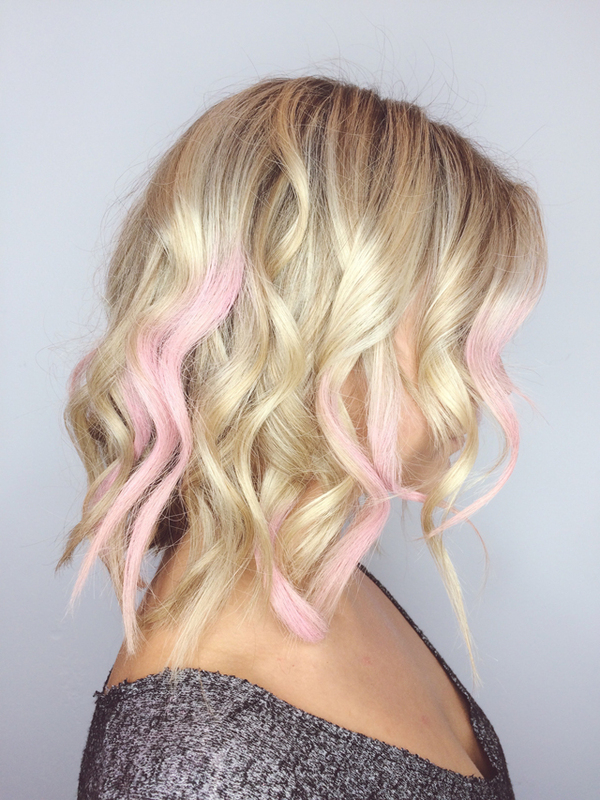 We started half way through the hair but some people like to take it straight from the root or just powder the tips and some even like mixing colours if you really want to get adventurous with it. It's coloured hair for crying out loud it's meant to be playful! If you were like me where you've deep down been wanting to try it out then I strongly recommend you just go for it. You can snag them at Wal-Mart for only $6.99 a shade. I had so much fun with it, I LOVED the outcome and I'm actually really pumped to try out more colours and ways of wearing it!